Brsdm. Fly Away 'Miami' HCC/AOS - NOW ONLY $18 !!! Gilded Urchin is the offspring of Brs. longissima and Onc. wentworthianum. Mature plants can have 4' to 5' long branching flower stems with 40 plus flowers. The bright chartreuse 3" star-shaped flowers have attractive dark brown spots. 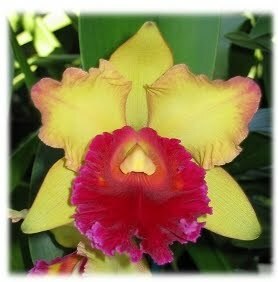 Vigorous grower and easy to bloom. 5" pot - Still with blooms on tall flower stem. NOW ON SPECIAL FOR ONLY $18 !! !